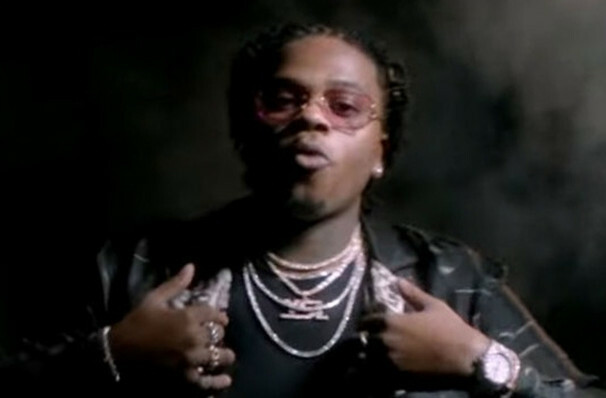 Gunna is known for championing the slang term "drip" to describe his ever-stylish garms; his delivery chimes perfectly with the aquatic metaphor. 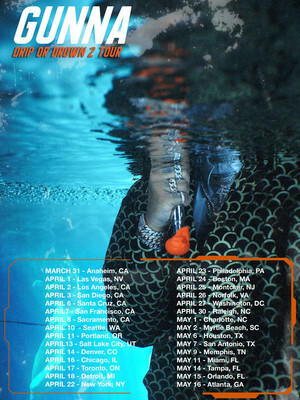 Following the February 2019 release of his debut album 'Drip or Drown 2', Gunna is hitting the road on a mammoth North American Tour, bringing along D.C. rapper Shy Glizzy as support. Hailed as a triumphant justification of all the hype Gunna has been drumming up over the past three years, the album enshrines the 'get rich or die trying' gangsta rap attitude in the performer's hypnotic monotone. Rich in storytelling and polished production, its a sign of bigger and better things to come. Seen Gunna? Loved it? Hated it? Sound good to you? Share this page on social media and let your friends know about Gunna at Akron Civic Theatre. Please note: The term Akron Civic Theatre and/or Gunna as well as all associated graphics, logos, and/or other trademarks, tradenames or copyrights are the property of the Akron Civic Theatre and/or Gunna and are used herein for factual descriptive purposes only. We are in no way associated with or authorized by the Akron Civic Theatre and/or Gunna and neither that entity nor any of its affiliates have licensed or endorsed us to sell tickets, goods and or services in conjunction with their events.